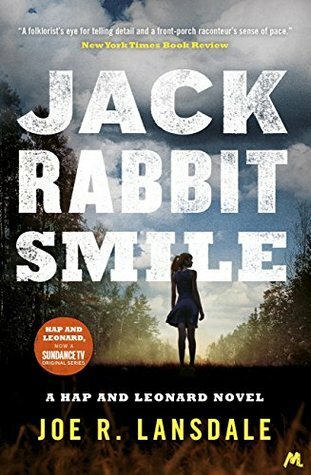 Hap and Leonard are an unlikely pair - Hap, a self-proclaimed white trash rebel, and Leonard, a tough-as-nails black gay Vietnam vet and Republican - but they're the closest friend either of them has in the world. Hap is celebrating his wedding to his longtime girlfriend, when their backyard barbecue is interrupted by a couple of Pentecostal white supremacists. They're not too happy to see Leonard, and no one is happy to see them, but they have a problem and they want Hap and Leonard to solve it. Overall, there is a crackling, anarchic energy to Landsdale's storytelling in JACKRABBIT SMILE. It's a quick read that doesn't feel 'thin', that is overflowing with unusual moments and characters, while also raising plenty of thought-provoking issues, contemporary and evergreen. Landsdale veers towards 'pulp' in style and mindset, but he's so much more than such distillation. A terrific read.